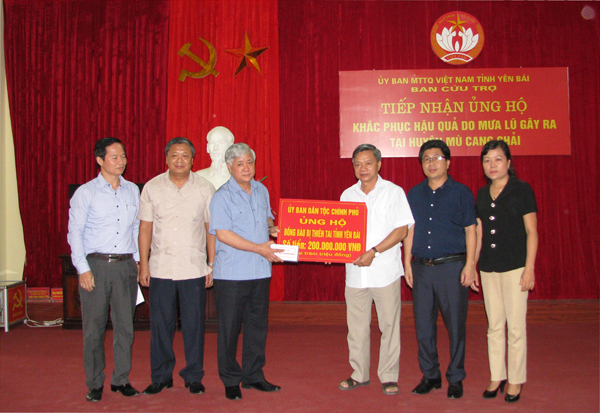 On the morning of June 13, at the Committee of the Ethnic Minorities, PhD Phan Van Hung, Deputy Minister, Vice Chairman of the Committee for Ethnic Minority Affairs, presided a seminar to build outlines for the project "Supporting ethnic minorities to promote the application of information technology for socio- social order and security in ethnic minority areas of Vietnam ". Attending the seminar were leaders and officials of the Information Center, CEMA (Unit in charge of project development); International Progressive Joint Stock Company (AIC); A consultancy unit under the Institute of Information and Communication Strategy of the Ministry of Information and Communications. Prior to the situation of IT application in the area of Ems still have many difficulties, shortages and limitations because the IT infrastructure hasn’t been synchronized and applied widely. 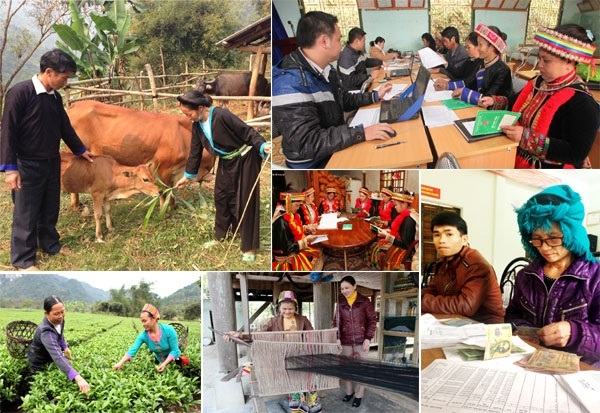 Besides, IT human resources in the ethnic minority areas are lacking and weak; The application of IT in agricultural and rural modernization hasn’t been increasing…Therefore, the project " Supporting ethnic minorities to promote IT application for socio-economic development and security and order in ethnic minority areas of Vietnam" is really practical and necessary to help ethnic minority people to approach, learn and exchange new technologies in many fields; to raise the quality of life of people, narrow the gap between regions, actively contribute to socio-economic development, ensure national defense and security in building and protecting the country. The project focuses on the following contents: Building a data center to response the need of storing all data and information in order to ensure regularly and continuously provision for socio-economic development and ensure security of ethnic minority areas. 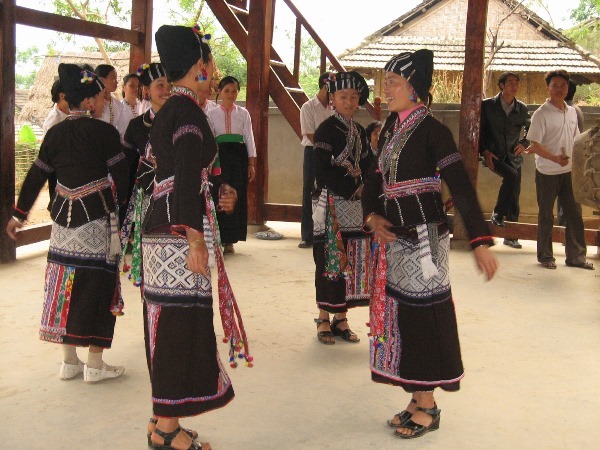 Establish communication channels linking the communes and villages in ethnic minority areas in order to serve the local authorities in broadcasting information contents to response the needs of the people. Establishing a telephone counseling center to provide questions and answers to commune and village authorities, providing information to ethnic minority people. Establishing an electronic portal for communication and online dialogue with ethnic minority people. 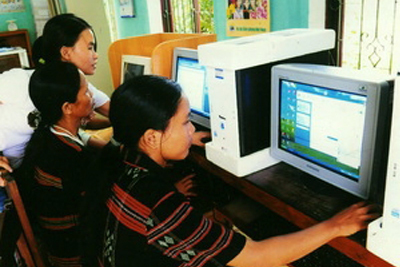 Establishing information systems to support employment for ethnic minority people. Setting up a forum for online dialogue on ethnic affairs in order to counter the wrong allegations and distortions of hostile forces. Building a network of inter-branch information networks of the agencies in charge of ethnic affairs from the central to local levels. Building a reception station and guide ethnic minority people to find jobs in some big cities. Deploying project "Applying image and video technology 3600 for state management of ethnic affairs". Developing DTTS Online Dictionaries and Foreign Portal for international cooperation. Building the project "Applying online technology in training and fostering cadres working in ethnic minority”. Developing applications for directing, administering and professional operations of the ethnic business in order to promote the administrative modernization and step by step implement e-government in the public-service system of ethnic afairs. Developing an interactive television system to serve ethnic minority people. Building a social network for the communication of ethnic minority people with state management agencies on ethnic affairs. At the seminar, the representatives had made some suggestions: The project should have an overall view about the situation of 53 ethnic groups in order to have a starting point in the right direction and an accurate selection of information for the construction of the project; Have specific preparation steps before bringing the project to the workshop; show the necessity and objectives of the project and provide evidence with specific data, etc. Speaking at the seminar, Deputy Minister and Vice Chairman Phan Van Hung requested that The Information Center should identify the areas of application to develop the project outline; calculating funding clearly, contents implementation, feasibility of the project; The scheme should be brief, avoid rambling; Refer to the experience of applying information technology in ethnic minority areas of neighboring countries such as India, China, Thailand, etc. to apply. The Deputy Minister suggested that the TTTT (the unit in charge of developing the project) will continue organizing the seminar with some ministries and branches to seek opinions and exchange information widely, orienting for the project; assigned tasks specifically to partners to unify the implementation of the project.